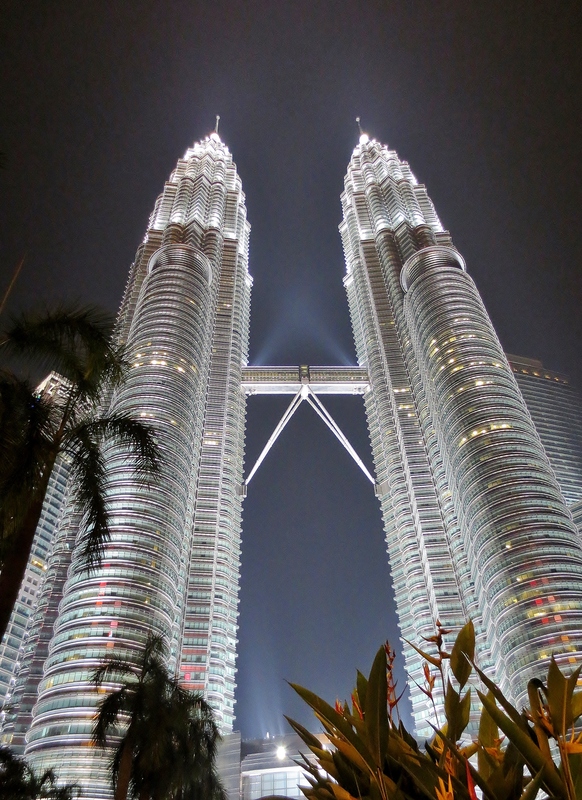 I had a day to wander around the streets of Kuala Lumpur, Malaysia and the major reason of the visit is just to see the famous Petronas Towers and be stunned by how it glows like an infrastructure full of swarovski crystals at night. 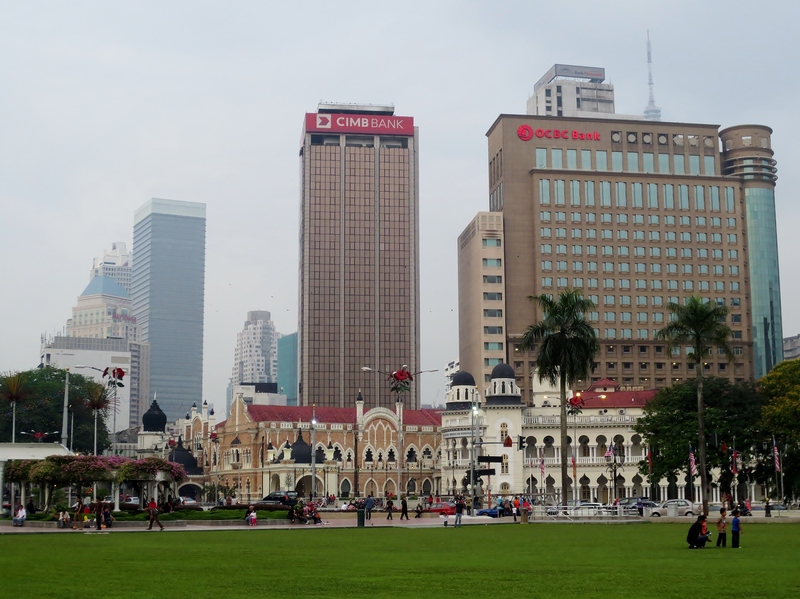 I was somewhat not a fan of city tours around South East Asia so I have not visited Kuala Lumpur soon enough after I got a job in Singapore. I guess I will always be that beach chick wanting to feel the roughness of the beach sand under my feet who’s not excited to see busy streets and high rise buildings except if the architecture is really extraordinary. 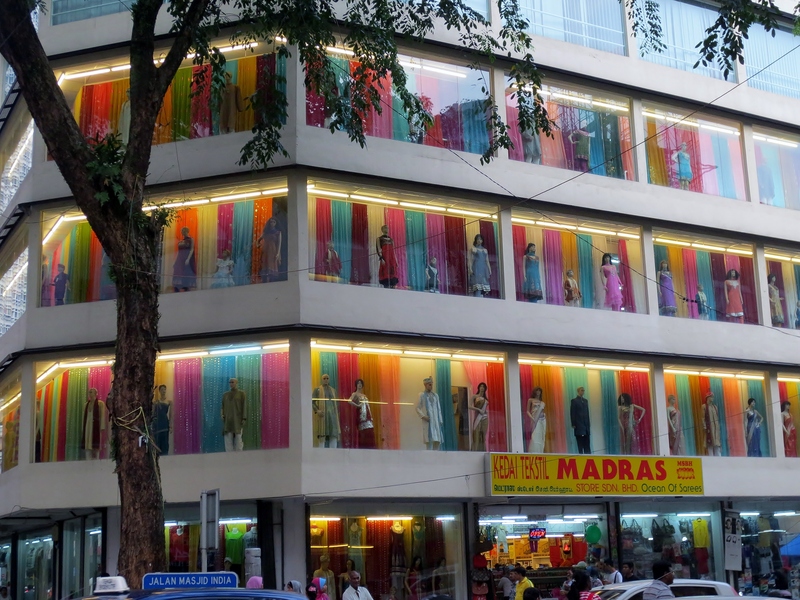 Anyways, so there I was. . Wandered alone in Kuala Lumpur. 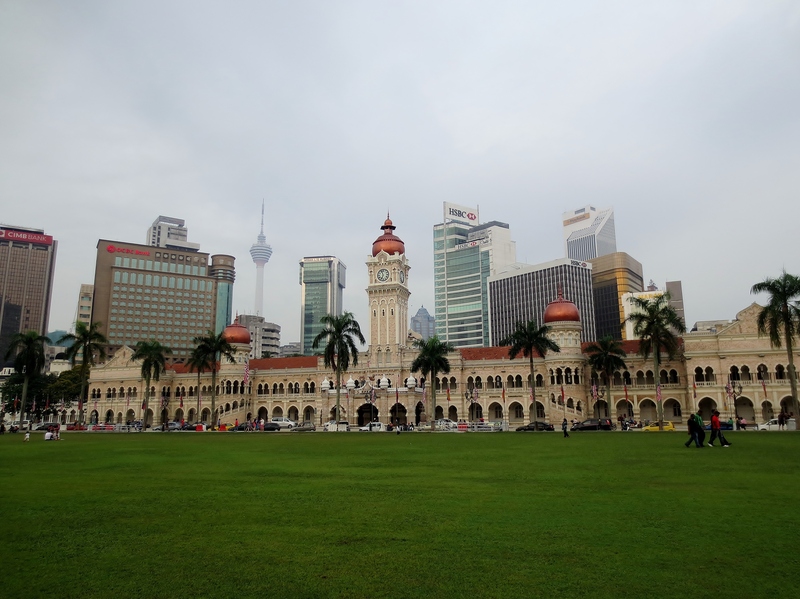 I only regretted that I stayed too short in the city so I was not able to see the Putrajaya area. 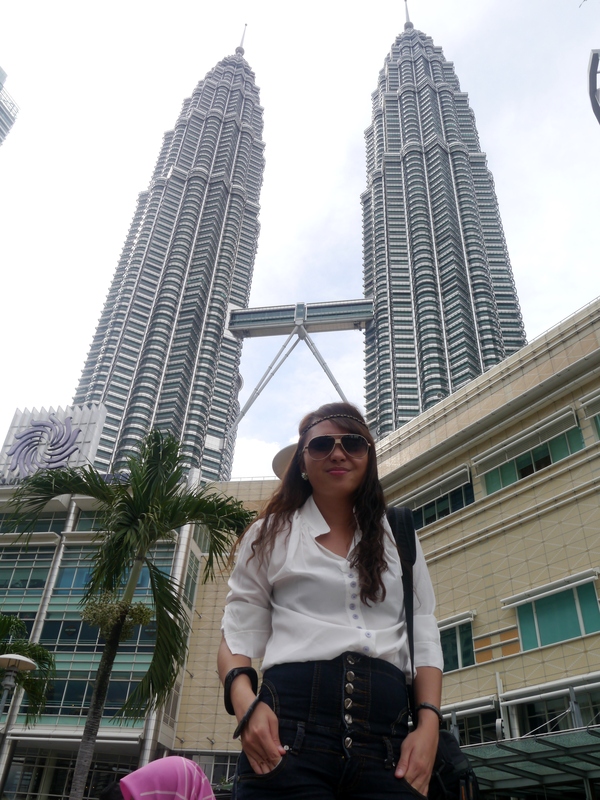 But since I was bedazzled by the structure and all the white lights of the twin towers plus a lot more attractions I didn’t expect to capture me but they did, I must say a visit to Kuala Lumpur once is still worthwhile. I braved commuting alone from Singapore to Kuala Lumpur via land. 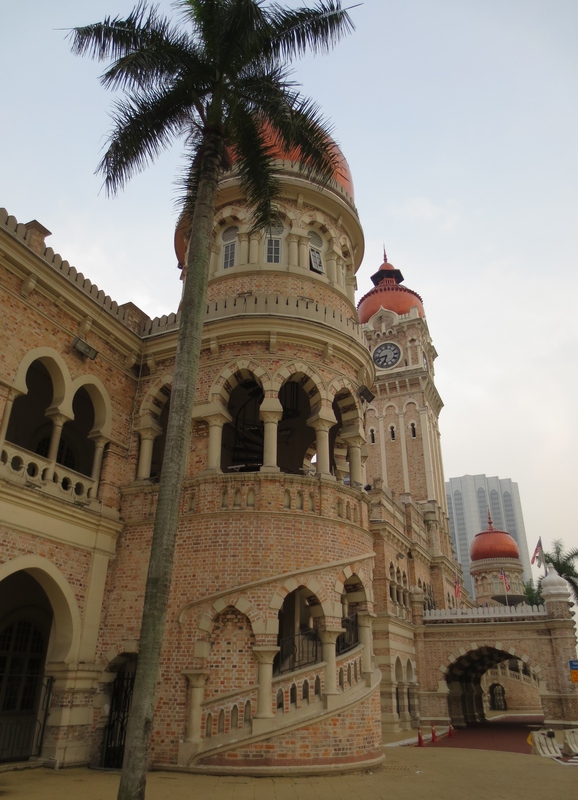 Multiple websites where you can book bus tickets from Singapore to some parts of Malaysia like Genting, Malacca and Penang are conveniently available like busonlineticket.com, singaporemalaysiabus.com, etc. 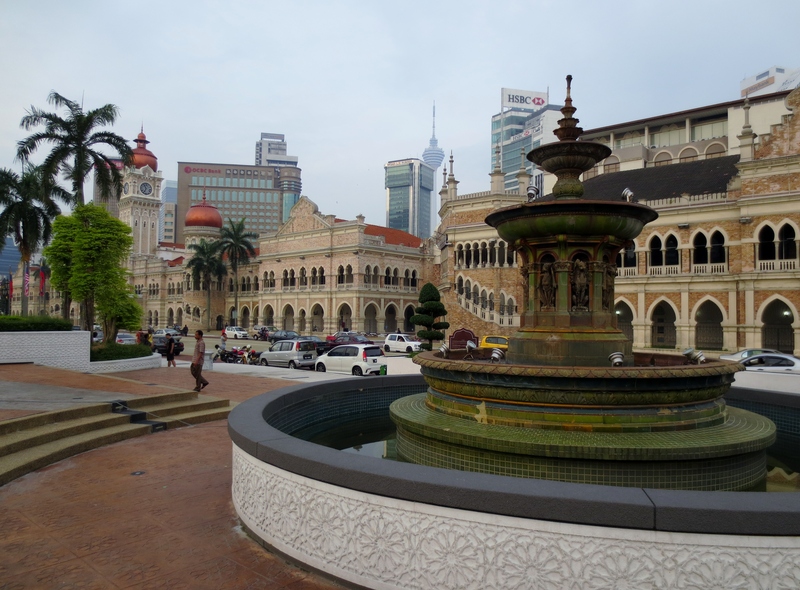 Upon reaching Kuala Lumpur, I took a cab to bring me to Citin Masjid Jamek Hotel which location is quite good since I’m just a few minutes walk away from the nearest MRT station though I didn’t expect the small bazaar outside the hotel. It was crowded and I was somehow scared of pick pockets but I enjoyed the fact that I was able to buy a few souvenirs just a few steps from the hotel lobby. The hotel was very nice too with clean and comfy room and friendly staff. At a very affordable price, the cheap soul in me delighted on this good find. 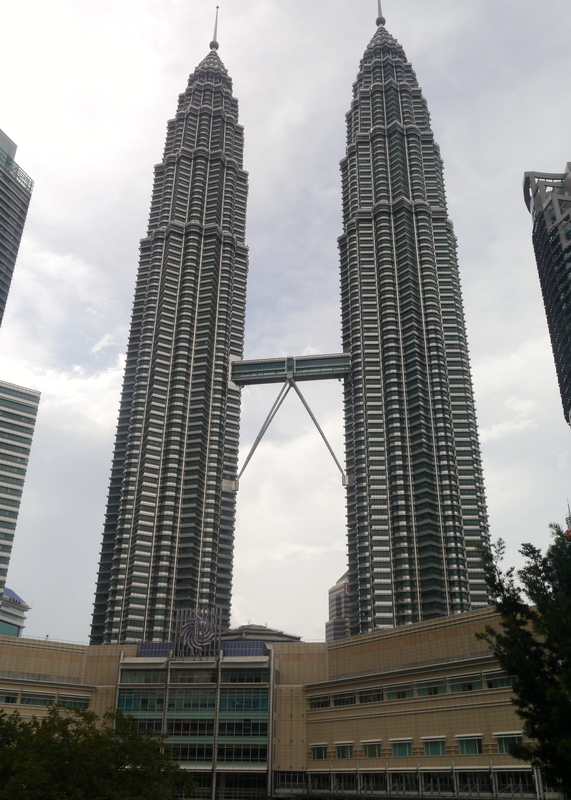 First on my Kuala Lumpur bucket list was to see the Petronas at day time and have a photo of myself taken with this amazing edifice at the background. . I ticked the item in my list to denote it’s done. Wink! 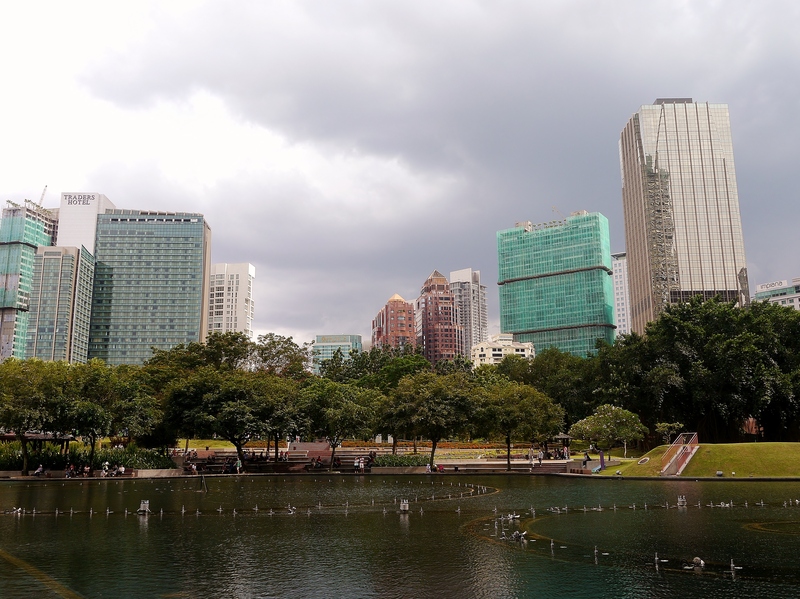 I have walked in and out of the Suria Kuala Lumpur City Centre (KLCC) every time I feel the need to breath cold air in an air-conditioned area. The park around and the view of the skyline are quite nice to see and, I think, are photogenic if only I have the best camera and the skills to take photos. Hihi. .
i know it’s not my best shot but i kinda feel shy when asking someone to take a photo of myself. Hihi. . 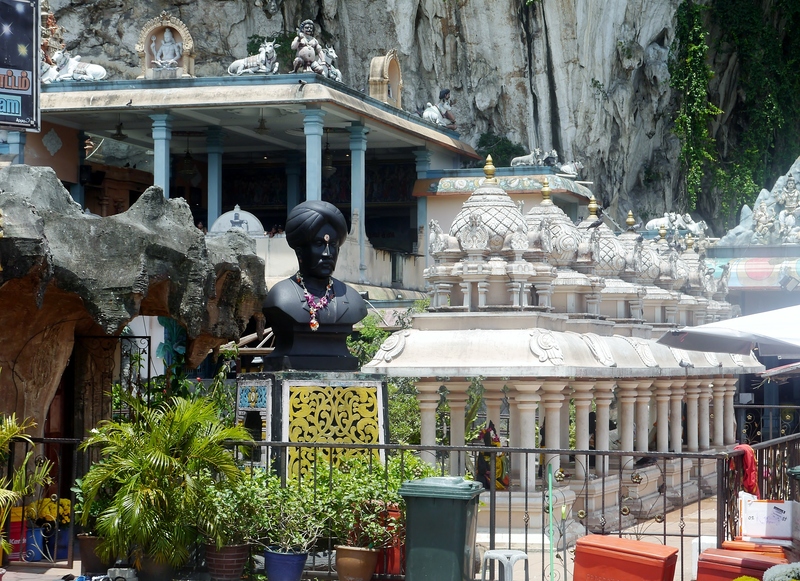 I have also seen the (outsides of) Batu caves. 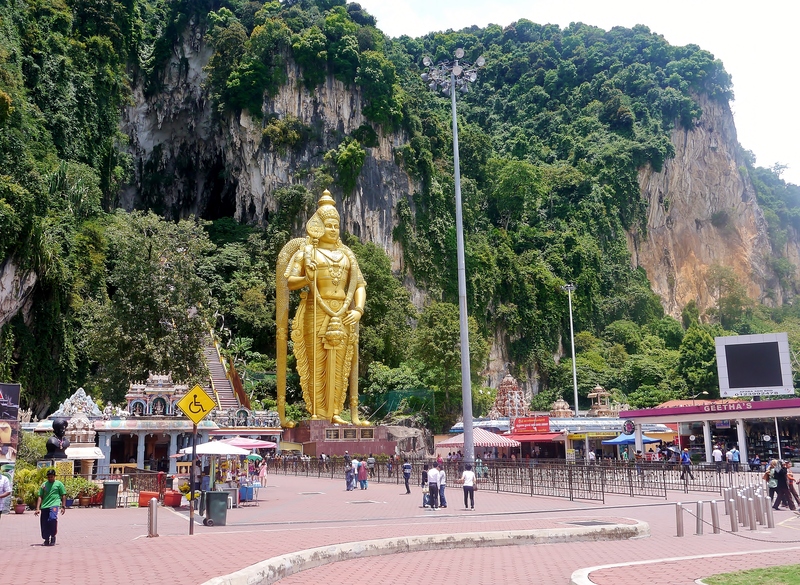 I didn’t take time to climb up the stairs of that limestone hill to see the insides of the temple caves. Just so you know, I’m getting old (is late 20’s counted as old?) and hated endless stairs. . I just can’t find my stamina when I see attractions requiring some underarm sweating and literally breath-catching. . haha. . I think I’m ok to just take the pictures of the famous Hindu shrine outside. 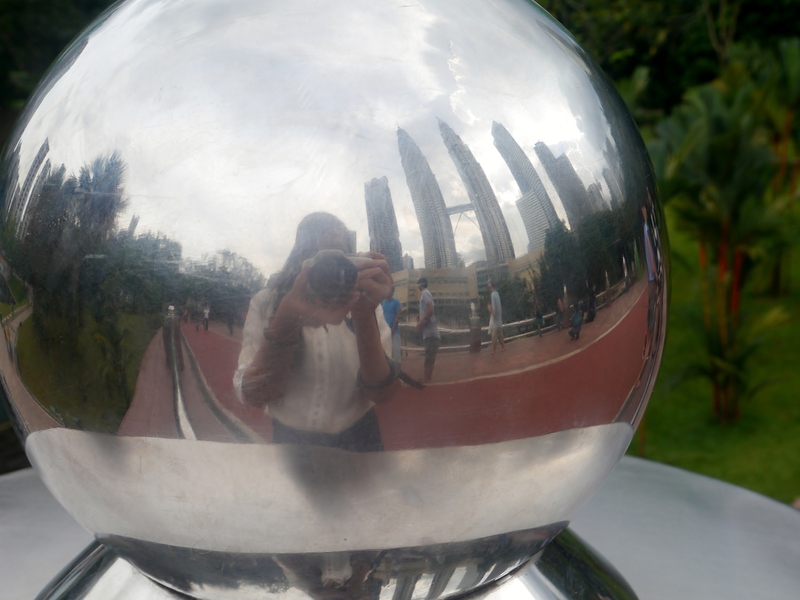 Hehe. .
As the daylight sky started to fade, I decided to just check out attractions near KLCC (and let me reiterate, I hated myself for not seeing Putrajaya, brrr. .) and headed to Merdaka Square. 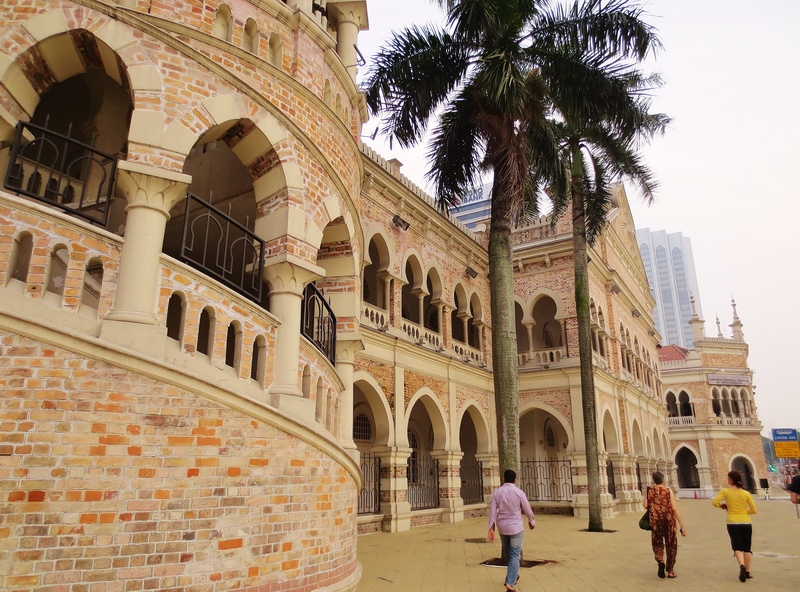 The exteriors of the grand Sultan Abdul Samad Building has captivated me in an instant and made me stayed in the plaza longer. 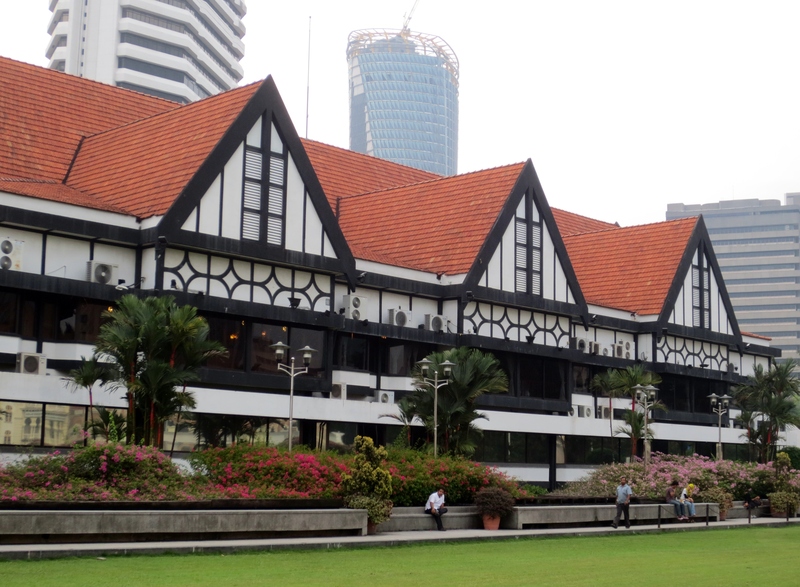 Opposite of this fascinating British landmark across the street is a wide grassy space and Royal Selangor Club. I was not able to see what’s inside of both buildings, I don’t even know what to expect inside and whether tourists are allowed to come in, hehe. . I just enjoyed the sight of group of young people and families hanging out around and tryin’ to test my photographer skills, which I was not able to find during the trip. . haha. .
i like the red bricky exteriors. .
i didn’t expect the Kuala Lumpur skyline could be photogenic too until I was uploading this photo. hihi. . 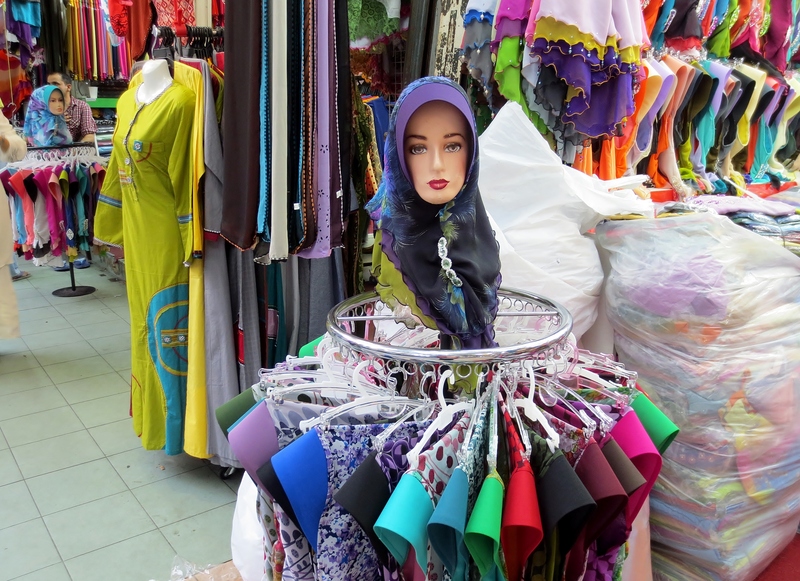 Since I am fascinated by the Malay outfits, I strolled to a market area not far from KLCC and found dresses and fabrics with bold colors and nice prints. 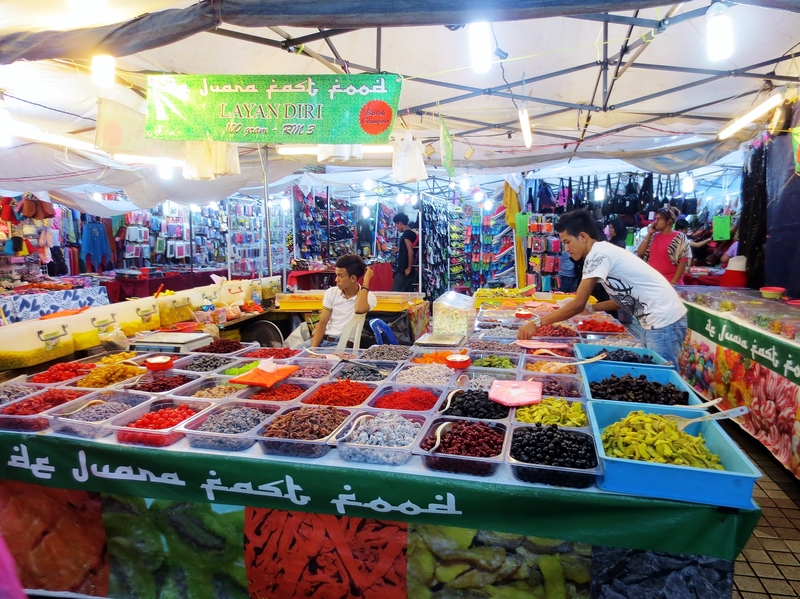 I also wanted to see what street foods they have but I was too (overly, i guess) cautious so I didn’t try them. I don’t exactly know which part of KL the place was, I just trusted my itchy feet to bring me somewhere so I can personally witness the simple and normal city life of commoners (like me) in Kuala Lumpur. And I’m glad I didn’t mind all the dangerous stories of the KL streets I’ve heard as what I have seen is rather worthwhile. 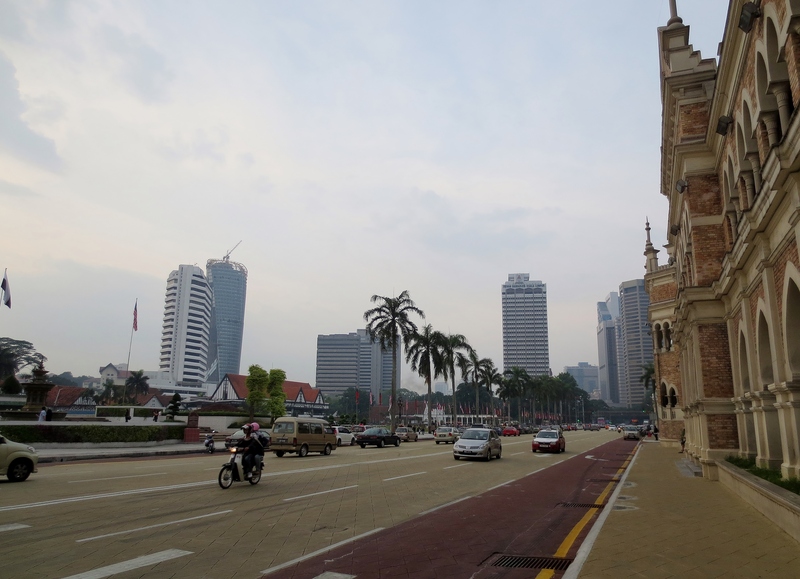 I think the KL streets are just similar to Manila’s. . They can be dirty and make you feel unsafe somehow but if you’re appreciative of the culture and the difference the place has compared to your hometown, by and large, your visit will be very pleasurable. 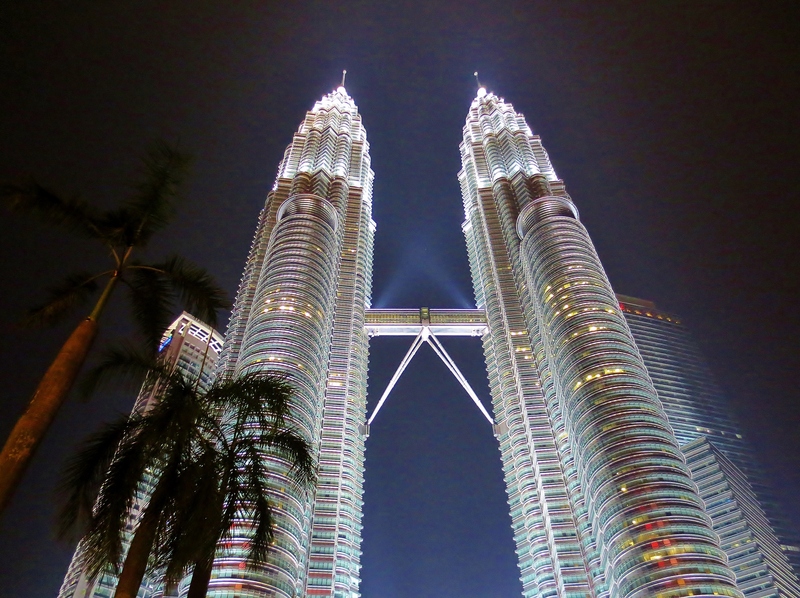 The tour will not be complete without seeing the Petronas Towers at night and how it glitters like full of dazzling diamond and white crystals shining bright at night sky. I’m speechless, it’s sooo beautiful. After the tiring day tour, I had dinner at the KLCC food court, went back to my hotel and felt very grateful of the safe and enjoyable solo trip. 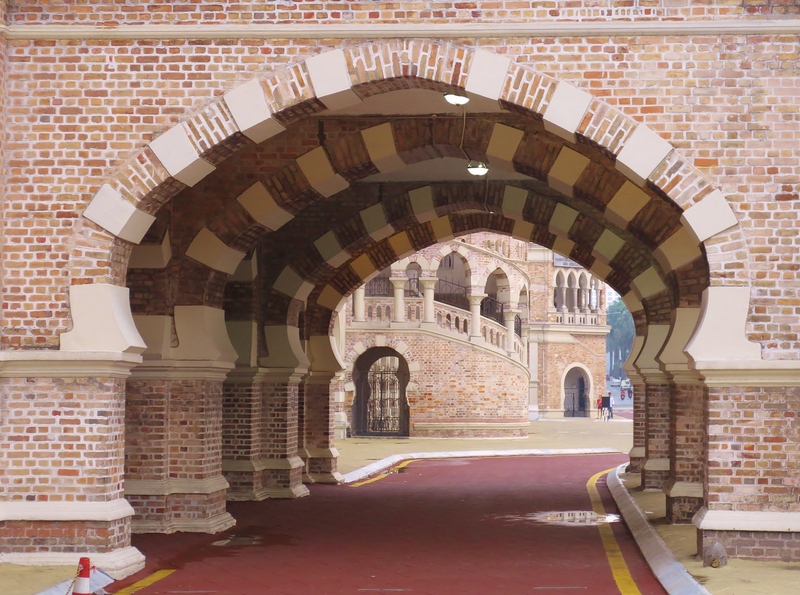 After my KL visit, I realized I am starting to enjoy wandering alone. I’m as free as a bird and I can see what I want to see without someone dictating the wheres, whats and hows. . Now I’m thinking where to go next.